The Democratic Senatorial Campaign Committee is taking advantage of the controversy over contraception and women's health issues to feature its female office-seekers. 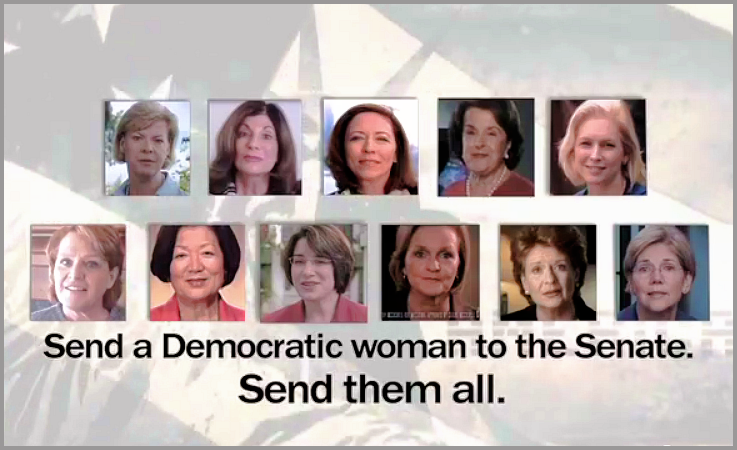 A new ad from the DSCC accuses male Republican candidates for Senate of perpetrating an "assault on women's health and freedom" and focusing on social rather than economic issues. "It's time to end the culture wars and get to work for the middle class. 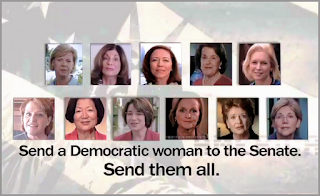 Time to elect more women to the U.S. Senate," a female narrator says, followed by clips of 11 female Democratic challengers and incumbents up for reelection endorsing the ad.